Recently Autodesk partnered with Organovo to create bioprinting software that will streamline the process of fabricating organic materials. 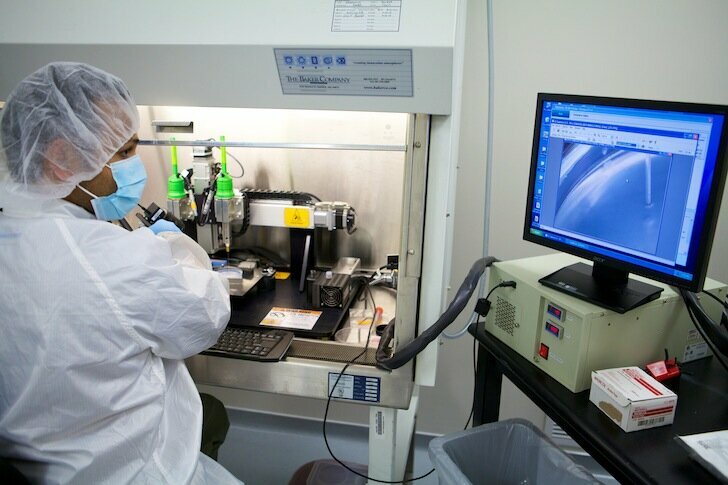 Organovo specializes in human tissue bioprinting, and their research is what’s behind Modern Meadow’s printed pork, but their object generation software is command line driven, which can be powerful, but is slow to operate. Much of the early days of this partnership will therefore revolve around creating various GUIs to test on object generation for bioprinting. With the numbing amount of code and debugging required for each print, it’s amazing that the bioengineers at Organovo have printed anything at all. All that code can/will be standardized into biologically based algorithms that create different visual interfaces for modeling printable biomaterials such as organs, blood vessels, and cartilage. Imagine a click-and-drag interface for veins, with accuracy down to the micron. Think of the time this will save bioengineers, and the time that patients won’t have to wait to get bioprinted health services, once Autodesk gets this software together that is. Who better than Autodesk though? If anybody knows digital 3D object generation it’s them. 2013 will go to software development, debugging, improving, and generally not printing body parts. But all the time spent over the next year on perfecting programs will save countless bioprinting lab-years that would have been otherwise wasted on writing thousands of lines of code. As such, over the next few years, printed skin tissues will start debuting in clinical use, and organs should come in another couple decades, some sooner. Organovo was already doing well when working with software not from this century, so their progress should pick up pace with some industry-leading Autodesk software. We’ll let you know when you can print a new liver.